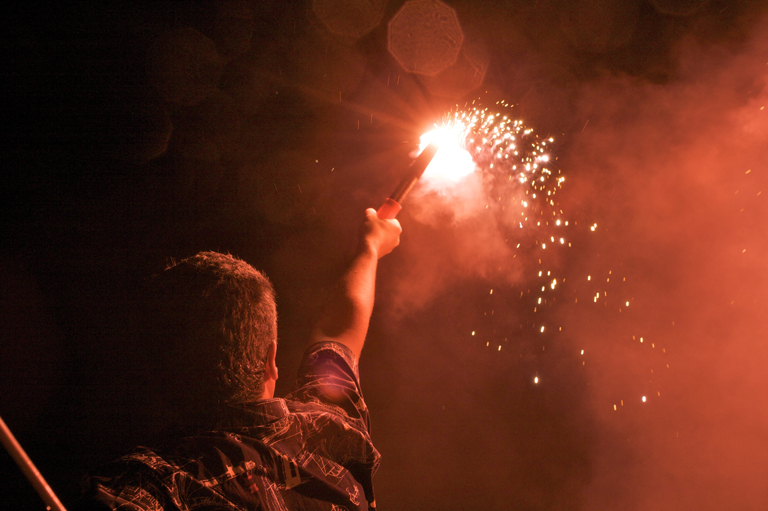 This page has information on the types of flares you maybe required to carry and how to use them. Many recreational vessels are required to carry two hand-held red distress flares and two hand-held orange smoke signal flares, of an approved type, when operating on coastal and enclosed waters. These are designed to fire a single red star to a height of approximately 300m. The star burns while falling for at least 40 seconds and can be seen from the greatest distance due to its intensity and elevation from sea level. Hand-held orange smoke signals, hand-held red distress flares and red star parachute distress rockets kept on the vessel for use must not exceed the manufacturers' expiry date. 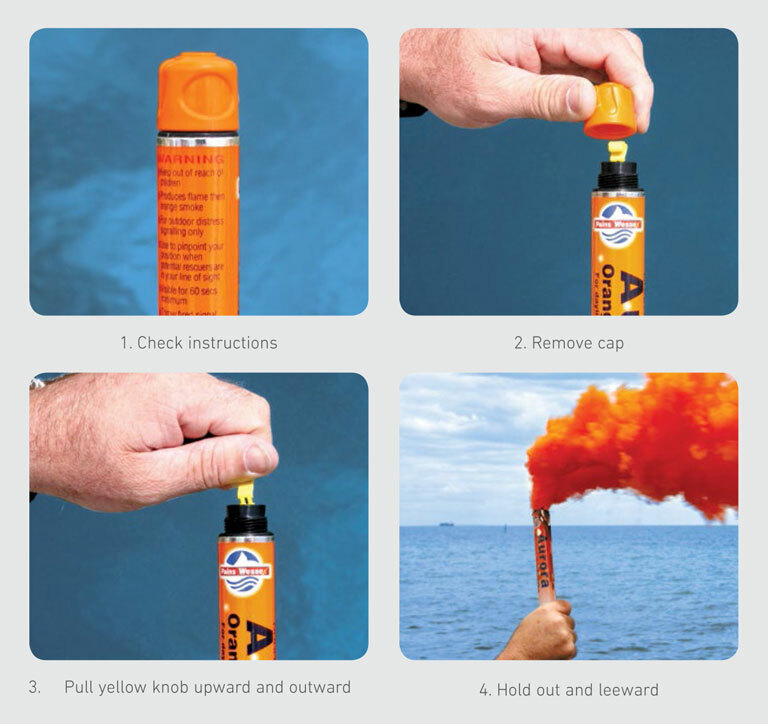 Distress flares have a life of three years – you must ensure the flares are replaced when their use-by-dates are reached. Contact your local police station for a location to dispose of expired flares.